Paul trained in medicine and subsequently in clinical pharmacology in Adelaide. After obtaining specialist qualifications in general medicine and clinical pharmacology, he spent two years as Director of Medicine at Cairns Base Hospital. Paul then joined the pharmaceutical industry in the United Kingdom, initially working for Wellcome Research Laboratories where he was Head of Clinical Pharmacokinetics. In 1994, he became Medical Director of Medeval, a clinical pharmacology contract research organisation spun out of the University of Manchester. Under Paul's leadership, Medeval became the largest clinical pharmacology contract research organisation in the United Kingdom. He was part of a management buy-out team of the Company from the University and a subsequent trade sale three years later to ICON Clinical Research. Paul has been Principal Investigator in over 650 clinical research studies and has been an active Consultant, both to the pharmaceutical industry as well as an invited speaker to the FDA. He returned to the University of Adelaide in 2005. His major clinical and academic interest is in chronic pain, focusing on the development of biomarkers, evaluation of novel therapies and mechanisms of disease. Other research interests include predicting drug interactions with oral anticoagulants and decision support software regarding drug interactions for GPs. Together with Guy Ludbrook, Professor of Anaesthesia at the Royal Adelaide Hospital, he has established the Pain and Anaesthesia Research Clinic (PARC (http://www.adelaide.edu.au/painresearch/) within the fabric of the Royal Adelaide Hospital. PARC undertakes commercial studies generally in the areas of pain and anaesthesia on behalf of the international pharmaceutical industry. Retained profits from PARC support our academic research program. 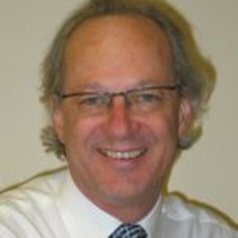 Paul is a member of the National Medicines Policy Committee (http://www.health.gov.au/internet/main/publishing.nsf/Content/nmp-committee). He retains an active interest in drug development.